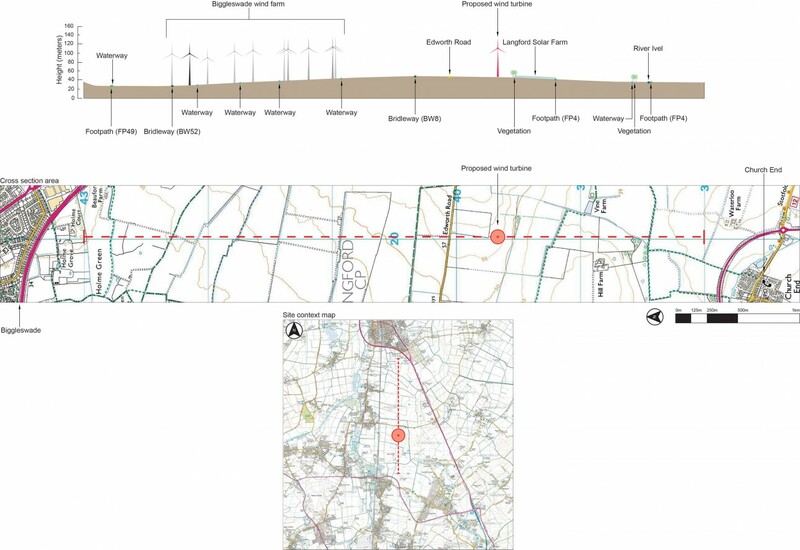 Located just 1.1km (0.7 miles) southwest of the village of Langford in Bedfordshire, this proposed development encompasses underground cabling, an access track, a transformer kiosk and a single wind turbine measuring 87m from ground to tip. 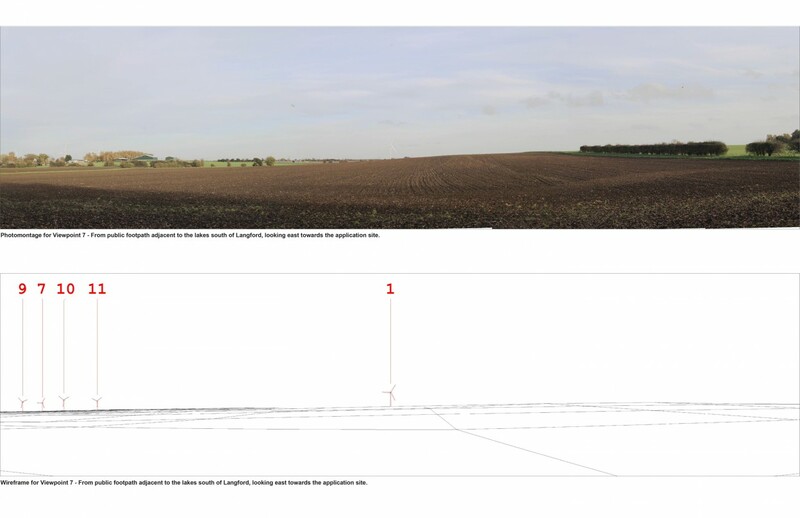 Seeking expert consultancy, Fisher German LLP asked us to produce a comprehensive Landscape and Visual Impact Assessment (LVIA) including photomontages, a Cumulative Impact Assessment (considering similar proposals within 15km of the site), and cumulative wire-frame views to aid the visual assessment. 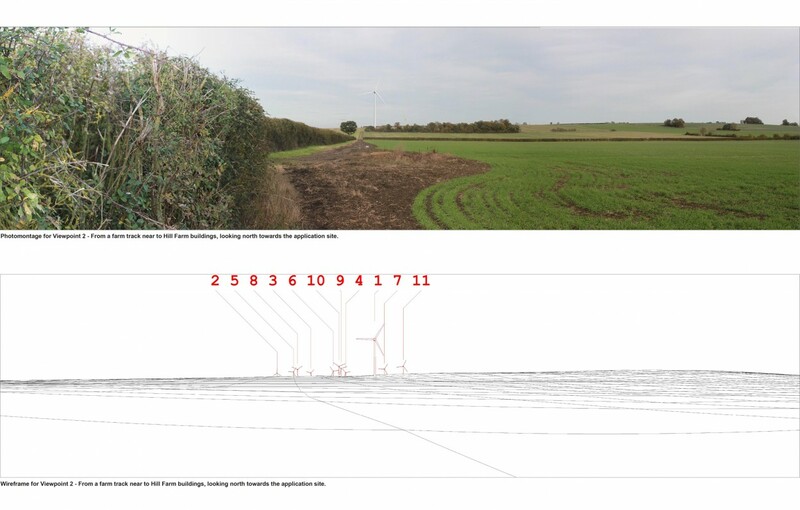 Influence’s assessment was further supported by an illustrated study designed to clarify the visual relationship between the turbine site and its surrounding landscape. 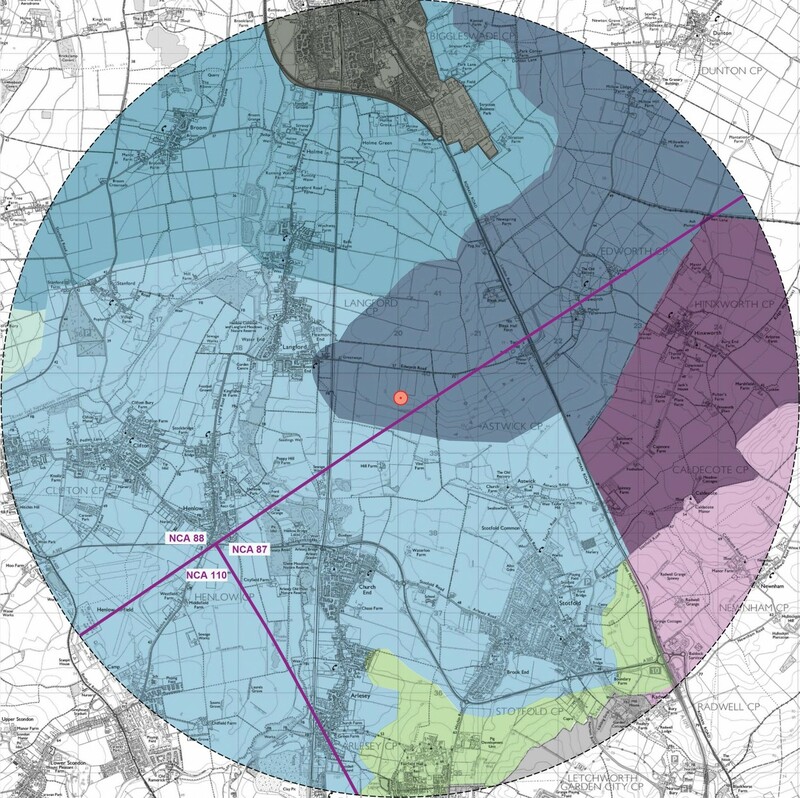 Having consulted the Local Planning Authority (LPA) regarding the surrounding environment’s main sensitivities, a selection of viewpoints and a Cumulative Impact Assessment, we expanded the scope of our original LVIA to address all key landscape and visual issues.